Not so often, I dream of dreaming. With rapid eye movement for company in the wee hours of morning, my subconscious manifests dreams within dreams — some conscious, others not so. Most, I forget. One ‘dream’ I’ll never forget is Christopher Nolan’s Inception. No, it wasn’t mine but Nolan’s dream I was sharing, yet it felt like my own. With Inception auteur Nolan forces us to question the indiscernible nature of dreams, reality, fears and anxieties. And man does he want us to dream a little more, a little ‘bigger’. To dream within a dream, within a dream… For reality, as often proclaimed, lies within. And what we see or perceive externally might actually be a dream. Then, is our reality a dream? And our dream a reality? Or maybe both are synonymously identical? We can never know for sure until we ‘wake up’. Inception is Nolan’s wake up call where he raises these questions in a mind-bending inextricable maze of a thriller flick bound to leave you pondering days after watching it. Nolan doesn’t offer the answers on a platter but definitely does raise both — the bar for filmmakers and questions for the inquisitor. 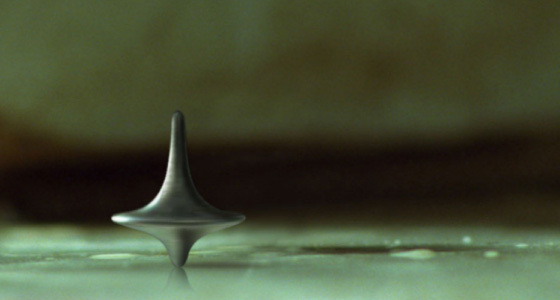 In Inception, a thin line separates dream from reality; so thin it’s impossible to discern the difference between the two. Similarly, a thin line separates a great director from an auteur. Nolan has proved his mettle as a meritorious filmmaker, with Inception he’s entered the league of auteurs such as Kubrick and Scorsese. His cinema has carved a new space in the neo-noir genre. A dark space where our worst existential, neoteric fears turn in to paranoia; and every paranoia turns true. Your social networking site, blog, browsing preferences, website clicks; your brand new Lamborghini, Armani suit; why, even your underwear brand. Everything is potential data for unscrupulous elements (read capitalist, entrepreneur, et al) to break into your most personal space — YOUR MIND! Beware! Someone’s toying with your subconscious. And our protagonist Cobb (Leonardo di Caprio in one helluva’ path-finding performance) does exactly that. He breaks in to people’s mind while they daydream and coolly extracts information. One fine day he gets a little creative. Instead of ‘extracting’ information, he is employed to ‘plant’ an idea inside energy magnate Robert Fischer’s (Cillian Murphy) mind — the Inception. What happens next is best left unsaid, lest I spoil the ‘dream’. Suffice to say, this flick is literally made on the stuff of dreams. It’s one thing to take up a dark subject that delves in to the human subconscious. It’s another to actually successfully merge this subject with a taut screenplay, excellent narrative, element of mystery, stellar performances, heart rendering score (a huge contribution by Hans Zimmer) and other commercial ingredients. It’s never too hard to foresee Nolan perform this tightrope act of balancing an intellectually stimulating script with commercial filmmaking elements with finesse (The Dark Knight, The Prestige, and Memento). What is hard to believe is the brazenness with which Nolan jibes at us, explicitly waking us up to the ‘reality’ we all know yet hate to accept. One warning though! Inception might leave you cold. Unlike other similar cult offerings, The Matrix for instance, Inception doesn’t draw lines between good or evil; day or night; inside or outside (the matrix). There are no villains. There is only internal conflict. There is no saviour (The One), for each ‘one’ is his own saviour in his own mind. In a way, Inception opens a Pandora ’s Box to the huge potential of the human mind which can create, or destroy, its own reality at will. Watch it in a dark corner of a theatre near you. Explore it in the darkest recesses of your subconscious: your dreams. Tags: Carl Jung, Christopher Nolan, Cillian Murphy, dreams, Hans Zimmer, Inception, inception vs matrix, Leonardo di Caprio, neo-noir, Prakash Jashnani, subconscious. Bookmark the permalink. Awesome review! You especially excel at “putting to bed” what I think have been simplistic comparisons to The Matrix – a thinly veiled and pretentious Christian allegory that has not aged well and does not offer the same depth of vision and gritty realism (in terms of internal psychological conflicts) Inception offers. And thanks for linking in to The Spin! The Matrix definitely was one of my favourite cult movies. Not so much anymore though. I am humbled to see my review on The Spin. Specially your kind words, “…best film review to date!”. Thanks pal. They were showing The Matrix trilogy on TV the other weekend and I caught bits of it. It really doesn’t hold up well at all (and I LOVED it when it first came out). It’s like a relic of pre 9-11 world, much like The X-Files (not sure if you had that on TV in India back around the same time). Both tapped into the zeitgeists of the time (turn of the millennium paranoia and finding salvation through quasi-religious hugger-muggery) but…wow…how the world has changed. Inception might suffer the same fate…but I found its internal conflicts and fears more universal and psychologically interesting – and it fits wonderfully into the context of Nolan’s ever-evolving and long-range career. We shall see. Right now I could easily find myself calling it a masterpiece. The Matrix had me spellbound (just like how Inception has me now) when it first released. I never thought much about the second and third parts of the Matrix trilogy anyway — they were just capitalizing on the brand. We had X-files here too (a couple of seasons late). Man, you remind me of my “wonder years”. Who can forget Agents Scully and Mulder. It’s interesting that you point out the similarities between The Matrix and X-files and their impact on the social mindset and vice-versa. I didn’t observe this before but I stopped liking X-files too and hated the movie versions. I find it so phony now. Our fears have changed. So have our understanding and preferences of mediums such as films, books, art etc. And this process will continue. Yet, I feel Inception will stand the test of time. Another film that’s timeless is Tarkovsky’s Solyaris where the conflict again is internal but very personal to the protagonist. In Inception, the conflicts, like you aptly pointed out, are more universal and that’s what sets it a class apart.